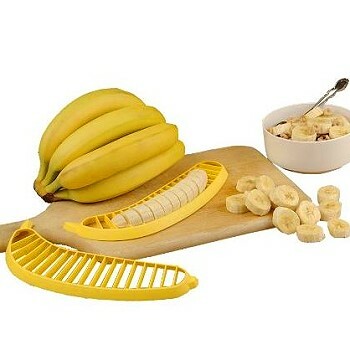 Slices a whole banana in one quick motion ! Slices an entire banana into 18 perfect slices, each slice about 1/2" thick. 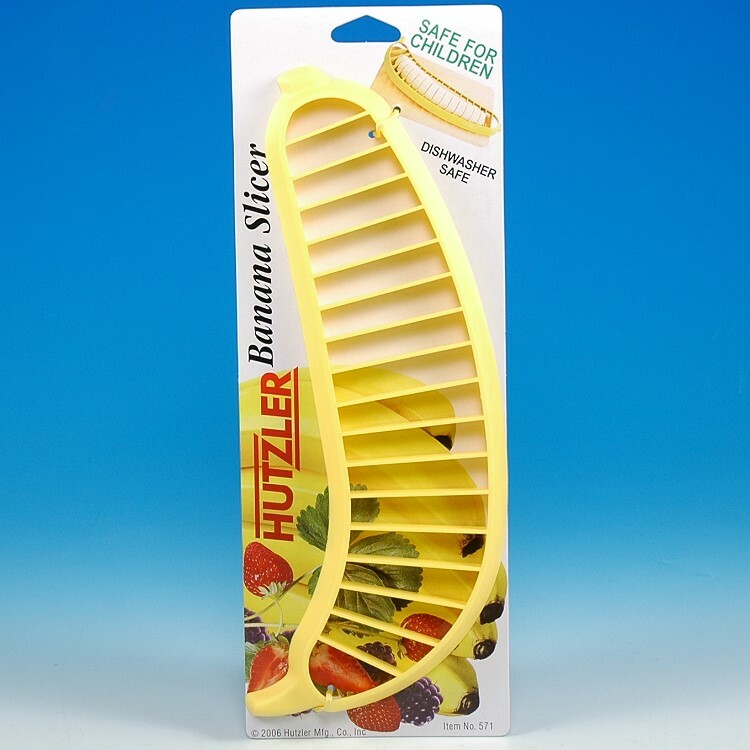 Quickly prepares bananas for fruit tarts, bananas foster, banana cream pie, ice cream sundaes, fruit salad, crepes, and trifles. Length 9 1/2", width 3", thickness 1/2"